If you love great jazz music and having fun, you don't want to miss the Freihofer's Saratoga Jazz Festival at SPAC. It's the most popular jazz festival in the area and one of the most anticipated events in Saratoga each summer! 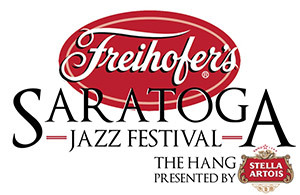 The Freihofer's Saratoga Jazz Festival is held at Saratoga Performing Arts Center in Saratoga Spa State Park on the last weekend of June each year. (Get directions to SPAC here). More than 20 world-class jazz artists will take the stage at SPAC this year! The big-name acts at the Saratoga Jazz Festival perform all day long on the main stage (SPAC Amphitheater), while the Charles R. Wood "Jazz Discovery" Stage features up-and-coming jazz artists, with performances trailing off in the early evening. Performances on the Charles R. Wood "Jazz Discovery" Stage will begin at 12:00pm on Saturday and 11:00am on Sunday. Amphitheater Stage performances will begin at 2:00pm on Saturday and 1:00pm on Sunday. Returning this year is Freihofer's Jazz Fest Friday, presented by Times Union, an annual collaboration with the City of Saratoga Springs and the Saratoga County Chamber of Commerce to celebrate the rich history of jazz in the region. The event - taking place on Friday, June 28 - will feature Chamber businesses welcoming locals and visitors with scores of live jazz events, themed dining, and social dance options that will serve as the kick-off to the Freihofer’s Saratoga Jazz Festival in Saratoga Springs. PLEASE NOTE: Artist lineup subject to change. Programs will be available the day of the event. Ticket holders can enter at either the main SPAC gate or Hall of Springs gate. Tickets will be available for purchase via phone charge at 518-584-9330 and in-person at SPAC's Box Office. Purchase online tickets by clicking here. People start lining up long before the gates open (we're talking 6 am or earlier) to get a prime spot. If you don't want to stand in line all morning, just throw some binoculars into your bag, and you're good to go. Coolers are allowed, and you can bring all the food and drink with you that you would like! 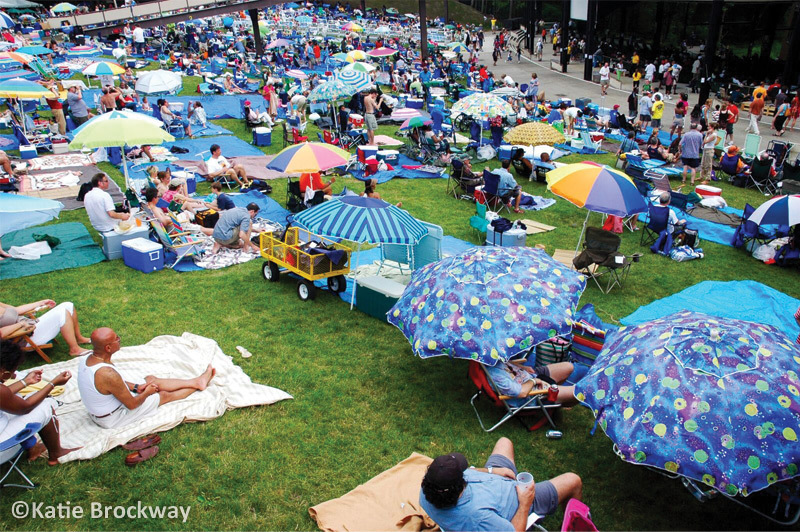 Jazz Festival is a BYOB event and a great opportunity to enjoy a picnic on the SPAC lawn with friends and family. If you get lawn tickets, we recommend bringing blankets to sit on, food and drinks for the day, beach chairs, and umbrellas or tents to help you stay comfortable through the day-long festivities.